I’m a classically trained musician who stopped playing quite as much classical music after discovering electronic music. I perform layered compositions with live loops, chiptunes, classical saxophone, and circuit bent toys. I’ve been fortunate to perform for such varied venues as art centers, rock venues, hacker spaces, warehouse parties, the Burning Man festival, and a SubGenius devival. 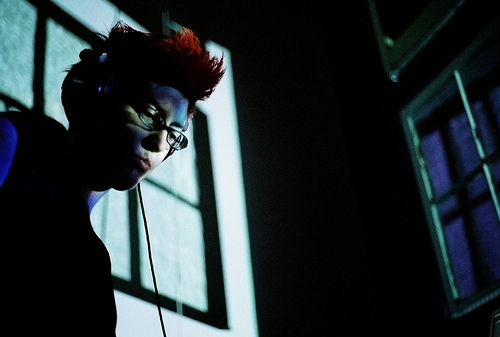 As a composer and sound designer, I’ve created for theater, film, multi-channel installation, and community art events. 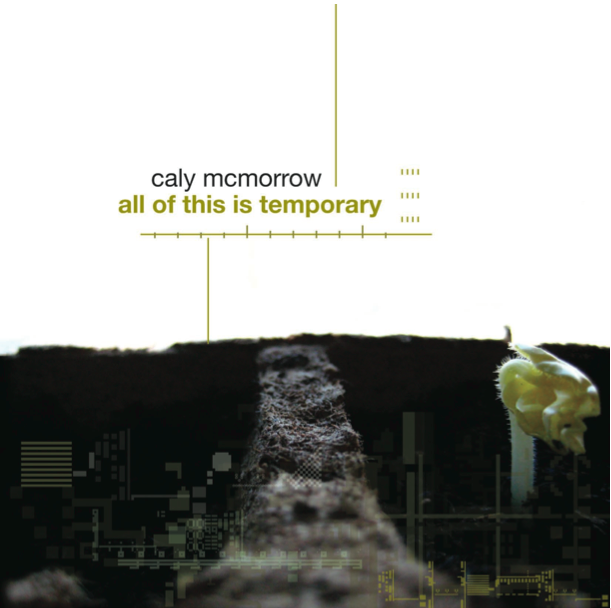 Here are a few sample tracks from my 2008 album All Of This Is Temporary. If you still like physical media, donate any amount and I’ll send you a copy. You can also find it on iTunes, cd baby, or stream it on Pandora. Mashups are fun. I want to make more of them. If you have good stem sources, let me know! Low Orbit was a collaboration with Lorren Stafford. I have him to thank for bringing both chiptunes and circuit bending into my life. 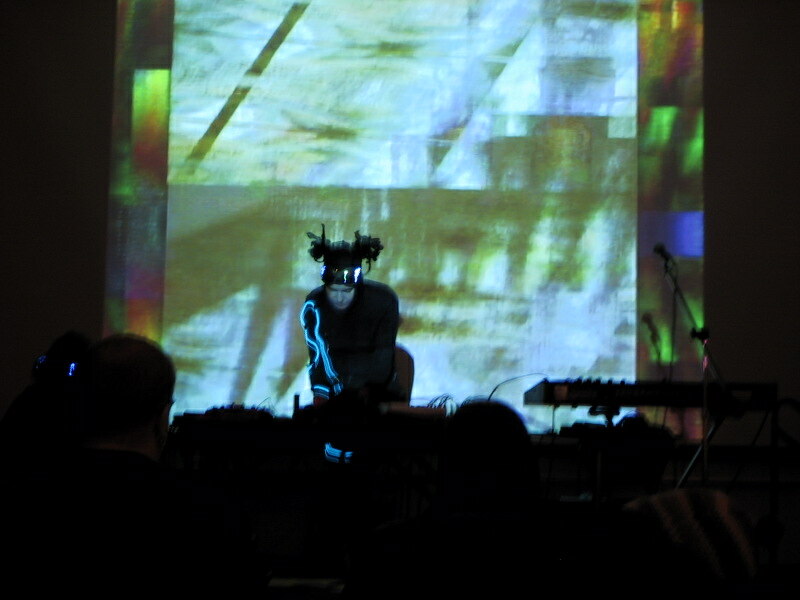 Zurround was an ensemble that played live, improvisational electronic music. It existed in many different forms between 1995 – 2002, and played varied venues including both First Avenue’s Mainstage and 7th Street Entry, and a devival for the Church of the Subgenius. 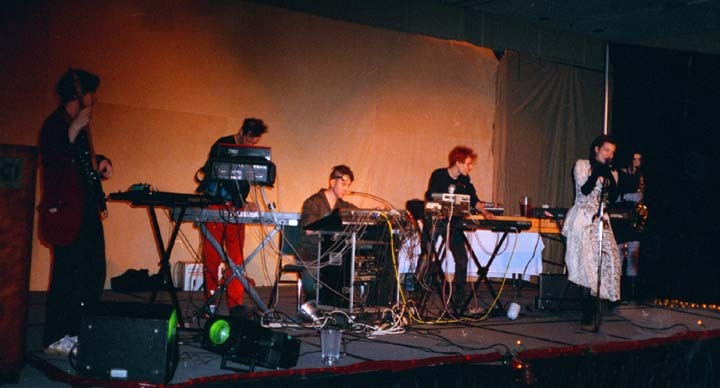 Signature sounds included Zharachne’s beat-poetry inspired lyrics; live saxophone, bass guitar, and effects mixing; and a lot of what we affectionately call “space drool” from one of its many synthesizers. Zurround introduced me to my love of synthesizers, and a short list included in its sound over the years include the Sequential Circuits Prophet 600, a Roland Juno 106, Roland JD800, Kurzweil K2000, Ensoniq ASR-10, and Doepfer A-100 modular. Members included myself, Nick Elmquist, Brian Etchison, Scott Keever, Jj Kidder, and Zharachne Rahkonen.